Xilisoft Video to Home DVD Converter offers the ideal solution to convert your entire video file library into Home DVD movies and burn them onto DVDs. 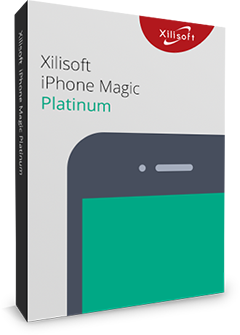 With Xilisoft Video to Home DVD Converter, you can convert common and HD files like MP4, MKV, AVI, DivX, Xvid, HD camcorder videos (M2TS, MTS, TS), MOV, MPEG, DV, RM, WMV, H.264/AVC, FLV, 3GP to Home DVD movies, burn them onto DVDs, and enjoy them on your Home DVD players. Convert & burn videos like MP4, MKV, AVI, MTS to Home DVD movies. Create Home DVD movies with custom Home DVD menus, subtitles, audio tracks, and artistic effects. Multithreading, multitasking and multi-core processing are supported. Convert videos shot by iPhone, other smartphones and DVs to high-quality DVD. Make DVD Movies Convert video files in MP4, MKV, AVI, DivX, Xvid, HD camcorder videos (M2TS, MTS, TS), iPhone 4 videos (MOV), MPG, MPEG, QuickTime Videos (MOV, QT), DV, VOB, Real Video (RM, RMVB), WMV, H.264/AVC, ASF, DAT, FLV, 3GP format to DVD movies. Create ISO Files and DVD FoldersTurn video files into ISO files and DVD folders. All Popular DVD Formats SupportedSupports all popular DVD formats as the target DVD: DVD-R, DVD+R, DVD-RW, DVD+RW, DVD+R DL, DVD-R DL, DVD-5, DVD-9. Multithreading, Multitasking and Multi-Core Processing Supported Ability to process video to DVD movie conversions using all CPU cores at the highest available speed offered by your system. Support conversion of multiple files at the same time. Create Menu with Unique Template Create a DVD menu with a template of your choice; different templates are available to suit any mood and any occasion. Set Video ThumbnailSpecify a clip from a video or choose a picture from your hard drive as the video thumbnail for your DVD menu. Create DVD without MenuCreate a DVD movie with the main movie played directly and the menu omitted. Add Music, Picture, Title, and Opening Film to MenuAdd background music, picture, title, and opening film to your DVD menu. Video Clipping, Image Cropping Clip the desired segments from a video to extract the bits you need; crop its video frame to remove anything you don't like from the image. Apply Artistic Effects, Add WatermarksMake your movie look special with various artistic effects applied; label your movie with text or picture watermarks. Add and Edit Subtitles Add up to 32 subtitle files (.srt) to your movie; freely adjust their position, font style and delay. Add and Edit Audio TracksAdd up to 8 audio tracks (in MP3, WAV, MP4, M4A, MP2, OGG, AC3, APE, FLAC, WMA, RA, RAM, AIFF, AU format) to your movie; freely adjust the audio volume, latency, bit rate, and channel. 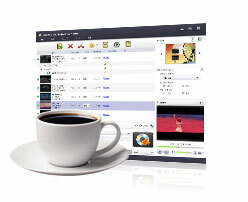 Movie Output CustomizationA range of output parameters are available to customize your output DVD movie including: video/audio quality, bit rate, television standard, aspect ratio, resize mode, audio channel, and sample rate. Preview your movie with applied settings in real-time; take snapshots of movie images while previewing. Auto-add chapters to your DVD title accordingly at regular intervals. Run your video to DVD conversion and DVD creation processes in the background to save CPU resources for running other applications concurrently.